faith | Rick Washburn, Jr. If there is one thing that we Americans like it is food. The average American eats 2000 lbs a year, which includes 29 lbs of french fries, 23 lbs of pizza, 24 lbs of ice cream, and 53 gallons of soda (1/wk). That, of course, has led to the need for shows like The Biggest Loser or Extreme Makeover Weightloss Edition. However, dieting is also now cool, hip and popular. But when we think about not eating for a period of time, we usually don’t think about our prayer life (other than praying for weight loss). And yet Jesus uses an incident in His ministry to make a direct link between praying and another spiritual discipline: fasting. The story of a Daddy and his boy paints us a picture of praying and fasting. We all face needs in our life each and every day. But there are times in which we head into a full-scale crisis (family, kids, marriage, work, ministry). These are times in which “business as usual” is out of the question. Just think of the recent hurricanes and the required preparation and responses. This Daddy was in one of those times. Imagine your little boy or girl possessed by a demon, their small body ripped and ravaged by an invisible force within. A power that is totally out of your (or their) control (vs. 18, 20-22). This demon would throw the boy’s body into convulsions like a violent seizure, make him start foaming at the mouth, grinding his teeth as he cries. It was happening right then! Throughout his life, this demon had led him into open fires to burn him, or into deep water to drown him. This was a full-blown demonic assault! This is a picture of what Satan wants to do to your life, family, ministry (John 10:10 – steal, kill, destroy; I Peter 5:8 – devour). We all will face times of crisis. This Daddy went to the first people he could think of: the disciples. But they weren’t prepared (vs. 18b). Jesus expresses tremendous frustration with His disciples for their lack of faith (vs. 19). Lack of faith is always something that disappoints and frustrates our Lord. It is like a slap in the face from His children! The perplexed disciples couldn’t figure this one out. So Jesus makes a powerful explanation (vs. 28-29). Prayer is powerful. Praying in faith is even more powerful. But there are some crises that are so serious, threatening, daunting that nothing will overcome them unless you also fast. Prayer, faith and fasting. 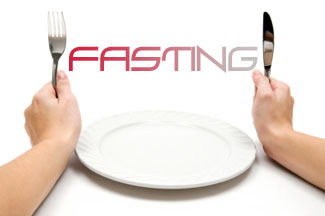 The disciples clearly were not fasting (though they would after Jesus’ ascension; 2:18-20). But Jesus obviously was. We don’t read much about it. Jesus didn’t flaunt it or draw attention to it (we only read of His wilderness fast; Mt 4:1-2). But here He implies that He was fasting. And He was ready to confront this crisis in the power of the Spirit (Lk. 4:18). The take-away? Sooner or later you will face a time of crisis in your life. You may be in one today. That is not a time for business-as-usual in your prayer life, devotional time. It is a time to seek God’s face with body, soul and spirit. And fasting may be just what is necessary to confront that demonic assault. Prayer, faith, and fasting: it will empower you to face anything, by connecting you to the power of God’s Spirit. As I recently stood before a group of fellow preachers (mostly pastors), I presented a few biblical principles to help us face the often inconsistent, unstable and uncertain income that many ministers live on. These are realities that affect pastors, evangelists, missionaries, and many Christian workers. But my heaviest burden that day was for my fellow missionaries who at that moment were ministering around the world, some in remote places, having to face these challenges alone. It is for them that I want to share these thoughts once again. Contentment is not based on our level of support (vs. 11). Paul’s contentment did not waver in times of financial or material need – it was consistent. As missionaries we cannot be content when we have a good month, and discontent when we have a bad month. Our contentment cannot rise and fall with the giving of God’s people or the regularity of our supporting churches. This will lead to spiritual distraction, depression, discouragement, and even resentment. Our contentment must be consistent – by being rooted in the One who never changes. Contentment is learned through experience (vs. 12). Paul had learned to be content. The circumstances had literally instructed him in contentment. The unstable circumstances taught him the “how to”s of ministry life: how to handle the good months and administer God’s provision, how to handle the low months without getting distracted, depressed or discouraged, and how to even be “abased” or leveled by a situation. We must remember that contentment is developed over time as we experience the ups and downs, abundance and necessity, fullness and hunger. Christ is our Source of provision (vs. 13). It was Christ who gave Paul the strength and provision to face life – in the good times and in the bad. At times God’s provision came through the giving of God’s people. At times Paul’s hands had to labor in a personal trade. But he did not look to these things for provision – he looked to God. This kept him from becoming resentful if a church did not give much, or even dropped his support. This kept him from looking to his own skills and actions to get him out of a bind. As missionaries most of our income comes through the giving of God’s people, and sometimes as the result of a letter, presentation or sermon, so it is easy to look to these for our provision. But this will lead to a roller coaster ride of emotions because people don’t always give as they should, pastors do not always make the decisions we expect, and our own efforts are not always effective. Our focus must remain on Christ. He is our Provider. Consider the mutual benefits (vs. 17). The Apostle had no reservations in encouraging the Philippians to give to his ministry because his motives were pure and he knew that they each had a role to play in the kingdom of God. Both sides benefited from their participation. When the Philippians gave, Paul could better carry out his God-given ministry, and the Philippians could better fulfill the Great Commission. Missionaries have no reason to feel like beggars as they seek to raise financial support, as long as they remember that they are seeking a relationship of mutual benefit. The entire work of God is benefited when God’s people give and God’s servants are able to carry out their ministry calling.